Hello Misfits. It’s time for this weeks Smackdown Live review. It’s the Smackdown Live after Mania. I didn’t stay in NOLA for the event and actually got home just in time for it. In recent years the WWE has been trying to make the Smackdown after Wrestlemania just as big as the Raw after Mania. The Raw after Mania saw many main roster debuts and returns. No Way Jose, AOP and Ember Moon were called up from NXT and Jeff Hardy, Samoa Joe and Bobby Lashley made their returns. Bobby Lashley’s being the biggest surprise. This poses the question of what we might get tonight. Also with Daniel Bryan returning to in ring action, it leaves you wondering if he will resume with his duties as the GM on Smackdown Live. Also, Charlotte ended the streak of Asuka and this leaves me wondering whats next for both women. “The Modern Day Maharaja” has become to the new United States Champion and I’m sure he hasn’t gotten rid of his three opponents from last night. Shinsuke Nakamura shocked the world on Sunday giving Styles a low-blow after their match and turning heel after losing to Styles. Lets get to my review. 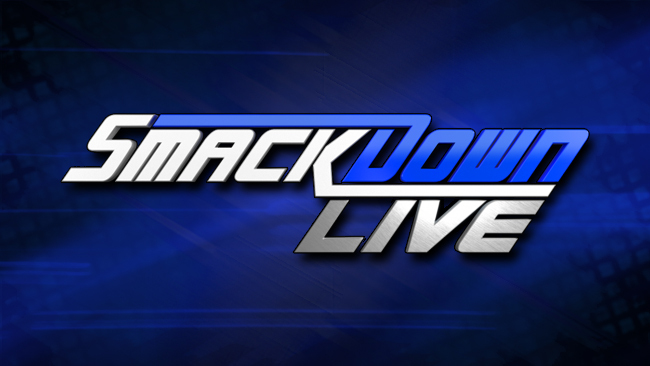 Smackdown comes to us live from Smoothie King Centre in New Orleans, LA. Shane McMahon comes out to a pop. Shane is back as the SmackDown Commissioner apparently. Shane hits the ring and fans chant his name. 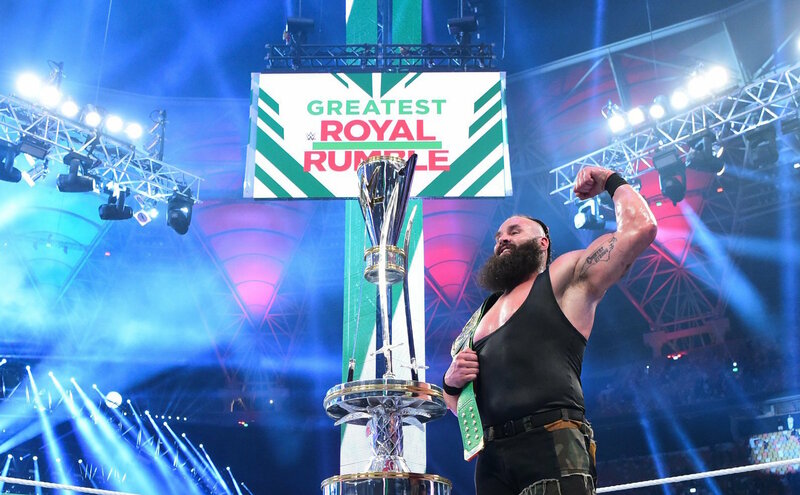 He thanks everyone and welcomes us to the end of WrestleMania 34 Week. Shane thanks everyone for making the week a success. Fans chant “thank you Shane” now. Shane says he’s fortunate to have a lot of amazing WrestleMania moments but this was special because we got to witness the return of Daniel Bryan. Fans pop big for Bryan’s name. Shane not only competed but got to win because of Bryan’s determination. Shane says they can all agree that seeing Bryan in action was something magical and he was born to do this. Shane says Bryan has truly crossed back over to become a full-time performer and WWE Superstar, which is why Shane has accepted Bryan’s resignation from the General Manager job. Shane says it’s all good because this is the land of opportunity and one door closes but another opens. Shane introduces the new SmackDown General Manager and out comes Paige to a pop. Paige just announced her retirement last night and now she is the GM of Smackdown Live. I guess this makes it clear that she won’t be managing Absolution anymore. I’m really curious to see how this goes and the chemistry Paige will have with Shane O’ Mac. Paige is young and can be creatively written as someone who is unpredictable so I’m looking forward to it. In a competitive match the Usos defeat The New Day when Jey super kicks Woods and Jimmy hits the splash off the top for the win. After the match The Bludgeon Brothers come out to ramp and point their rubber hammers at the Usos. These two teams have amazing chemistry. This match was no different. It was a quality match and the right team won because they technically should be entitled to a rematch anyway. – They show a backstage video from earlier today of Naomi being interviewed by Dasha Fuentes next to the WrestleMania Women’s Battle Royal trophy. Natalya interrupts and they have words. Natalya hopes Naomi gets shipped off to RAW next week in the Superstar Shakeup. They continued arguing to set up a match. In a decent television match Naomi defeats Natalya after hitting a split legged moonsault. This was a fun match to get both ladies on the show. I think I was little let down because I was expecting something cool to happen during or after this since we had surprise after surprise on Raw but it didnt. It might be their last match for a while because they could end up on different brands after next week. – Renee Young is backstage knocking on Shinsuke Nakamura’s locker room door now. He comes out and some fans in the arena boo. Renee says a lot of people are calling the attack on AJ Styles, reprehensible, heinous and poor sportsmanship. Young asks why he would tarnish the dream match after so many years of anticipation. Nakamura responds by saying that maybe he was just too emotional. Nakamura winks at Young. Young asks Nakamura why he attacked Styles. Nakamura leans in and says, sorry, no speaka the English. Nakamura walks away. I LOVED THIS. Charlotte says this past Sunday she faced her toughest challenge yet. Charlotte thanks Asuka. Charlotte puts over Asuka and her performance in the match. Charlotte says she wants to know who she is going to make magic with next. Peyton Royce and Billie Kay come to the ring. Royce and Kay say that if Charlotte is looking to make magic they know a few wizards who can make her title disappear. Kay and Royce make fun of Charlotte for going on and on and thanking everyone. Kay tells Charlotte to stop talking about the past when she is looking at the future. Charlotte attack Kay. Royce and Kay beat down Charlotte. Kay hits Shades of Kay on Charlotte. Kay and Royce toss Charlotte over the announce desk twice. Royce and Kay stomp Charlotte out on the floor. Kay and Royce whip Charlotte into the ring post. Charlotte tries to get to her feet. Royce and Kay send Charlotte into the ring steps. Royce and Kay powerbomb Charlotte on the floor. Royce and Kay bring Charlotte back in the ring and pose over her as referees come to check on Charlotte. YES! YES! YES! I’m so excited that the Iconic Duo are on the main roster and what a way to make an impact on their first night by taking out Charlotte. They looked gorgeous too and that might just be because I have crush on Peyton Royce that I had to add that in here. The music hits and out comes Carmella with her Money In the Bank briefcase as Charlotte is still laid out. Carmella runs to the ring and hands her title shot to the referee. The referee asks if she’s sure she wants to do this. She screams at him but he’s acting like he doesn’t understand. The referee is taking forever to make the match official.The referee talks to Hamilton but takes his time as Flair slowly recovers. Hamilton makes the announcement. Carmella defeats Charlotte Flair after hitting a super kick to become the new Women’s Champion and successfully cashing in her Money in the Bank. I KNEW IT. When I was leaving NOLA last night, I remember telling my friends that the only thing that I’m really upset about missing is that chance that Carmella cashes in and she did. Carmella is money and now she’s got the gold. There were rumours that she was going to have a failed cash in and I’m glad that she didn’t. The ref taking so long and allowing Charlotte to get up before calling for the match was stressful but it added suspense to the moment leaving you to wonder if she was going to cash in or not. This was a great moment for the Smackdown after Mania. Jinder Mahal and Sunil Singh were posted up at ringside watching. In a solid match Randy Orton defeated Rusev and Roode after Randy Orton hit an RKO on Roode. Orton and Mahal have a stare down following the match. I would have preferred Rusev and Roode to be victorious here to mix things up. However, I like the concept that last year at this very same PPV Jinder beat Randy Orton for the WWE Championship. It was later in the spring last year but you get the point. These two know each other will and maybe Orton can finally get one over on Mahal. – Backstage, Dasha congratulates Carmella on her title win. Dasha asks Carmella why today was the day. Carmella says the Queen overstayed her welcome. Carmella starts to cry. Carmella says there is one person she has to thank… herself. Carmella won the MITB contract on her own and she won the title tonight on her own. Dasha asks what about Royce and Kay. Carmella says who? – Backstage, AJ Styles runs into Renee Young. Renee tries to tells Styles about Nakamura’s apology earlier but Styles cuts her off. Styles says he doesn’t want to hear it and if he sees Nakamura he may put his fist down his throat. Styles never thought he would be standing across the ring from Daniel Bryan. Bryan is great, but he isn’t phenomenal. In a dream match main event, AJ Styles versus Daniel Bryan ends in a no contest when Nakamura runs in from the crowd and hits a Kinshasa to the back of Bryan’s head, causing a DQ. After the match, Nakamura blast Styles with the Kinshasa. Nakamura low blows Styles twice before leaving the ring. This truly was a dream match but I’m glad it didnt have a clean finish so it can be something we can revisit down the road now that Bryan is back on the main roster as full time competitor. I’m also really digging this heel Nakamura. It feels fresh. I really enjoyed this episode of Smackdown and it’ll definitely be a memorable one. There were surprises however, not as many as there were on Raw. However, it is a two hour show and there will be a shake-up next week. I’m looking forward to see how Paige played the GM role. I’m also wondering what impact the Iconic Duo will make going forward. Theres a lot of questions and less answers which means Smackdown Live is giving me a reason to tune in next week. Check out this episode as it feels like a new era of Smackdown Live begins now. (I made the 1st comment. This is just more official lol). Shinsuke not speaking English was awesome!